When a man plans a proposal, he wants everything to go just right – ideally, this will be a moment to remember for the rest of their lives. 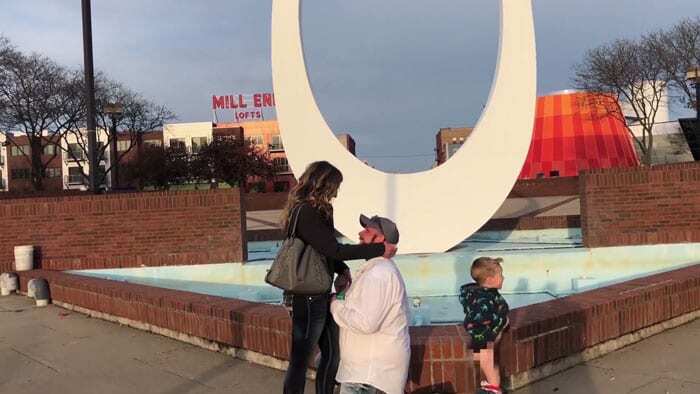 And for Michigan couple Kevin Przytula and Allyssa Anter, they certainly will never forget the day they got engaged. 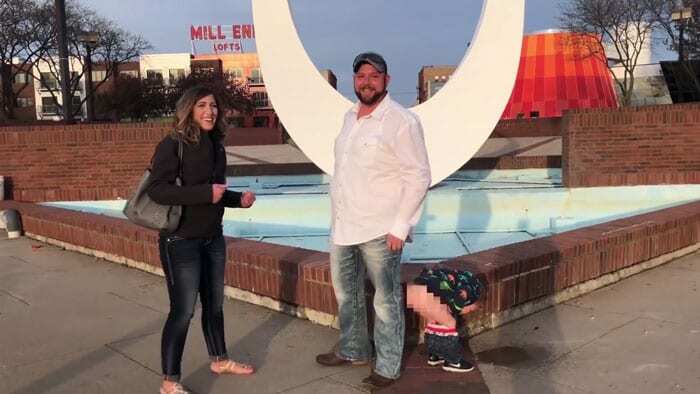 Kevin planned everything, including a nondescript spot that wouldn’t give away what was about to happen and inviting the couples’ children – his 11-year-old daughter Kayleigh and her 3-year-old son Owen so they could experience the happy moment as a family. 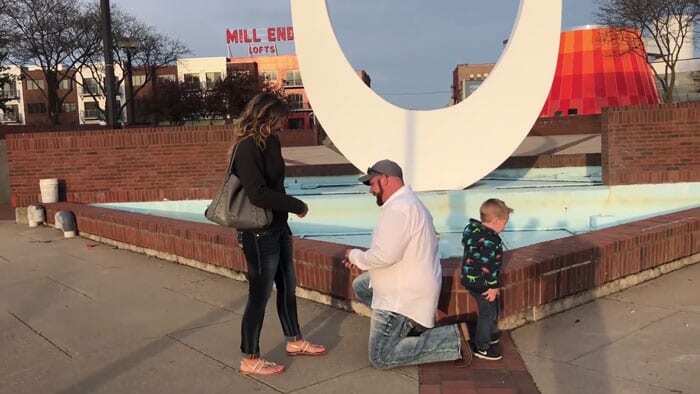 Everything started out perfectly, with Kayleigh filming as her father got down on one knee and began to declare his undying love for Allyssa. 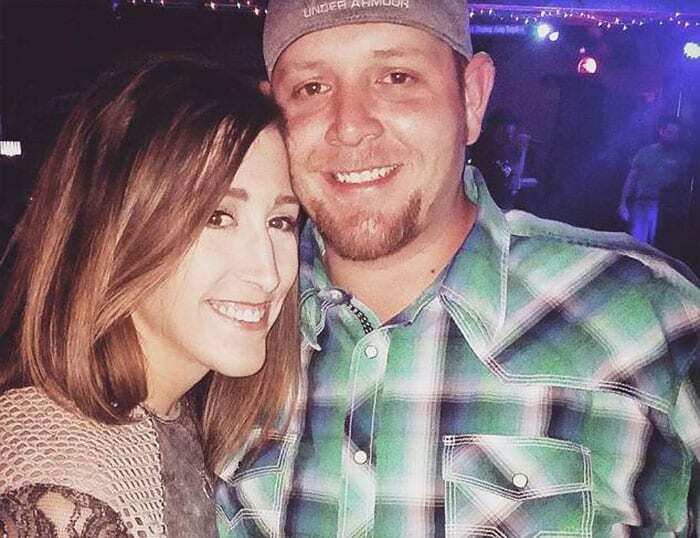 Allyssa, lost in the moment, says “are you serious”…in response to Kevin’s proposal. 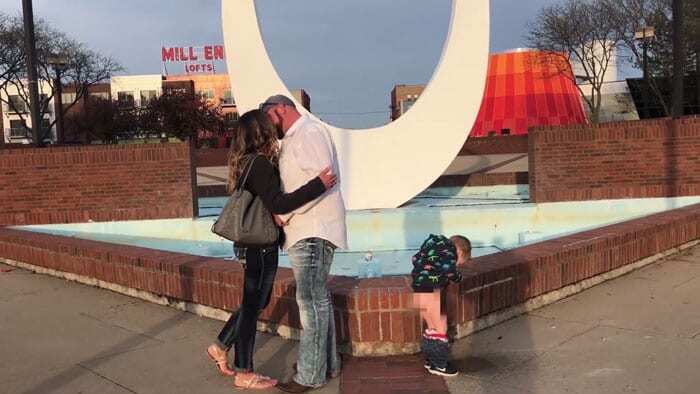 The little boy is definitely serious, and proceeds to drop his drawers and make his own fountain right beside the happy, oblivious, newly engaged couple. It’s not until they’re finished and grinning at the camera that they notice Kayleigh cracking up…and Owen’s bare bum. Neither of them are mad, though, because after all, what else can you expect with a family that includes a toddler? So do we, Kevin. So do we.